I'm back from Seattle. The Impress sale started Thursday and it was great to be at Tukwila for the start of the sale. I did a demo using the Copic Markers. The Tukwila store also featured the new Memento ink pads. They are a great ink pad. The black is perfect for using with the Copics. After stamping you can instantly start coloring. 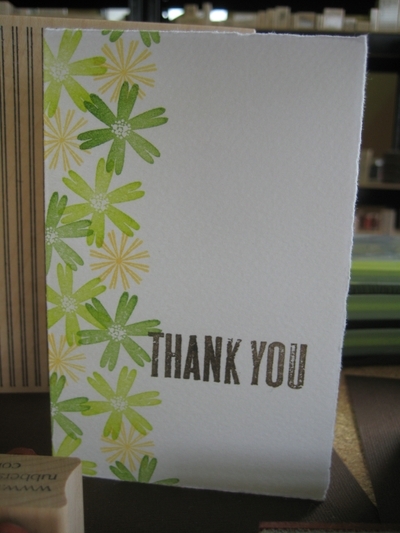 Here's a card using some of the new Impress stamps. I love playing with new stamps. The new Savvy stamps should be arriving next week!